Sign up for Open Mic before 7pm. $3 admission. Beverages available for sale. WORDS & MUSIC has been brought to audiences in our region by Plumas Arts since 1989. The series began as part of a grant from the California Arts Council, which was designed to mobilize and support literary arts, and artists, in Plumas County. The project initially provided for a monthly poetry reading series at Morning Thunder Café and a literary publication. Plumas Arts published two issues of a publication called "Northern Contours" that featured work by Northern California and Western Nevada literary and visual artists between 1990 and 1994. Northern Contours was edited by Cindy Robinson and designed by John Terhorst. Maintaining an ongoing commitment to publishing the work of regional literary artists, since 2000 Plumas Arts has produced an annual 12-month Art & Literary Calendar featuring work by local poets and writers as well as visual artists. The initial monthly poetry reading series would find musicians turning up in the open-mic section. 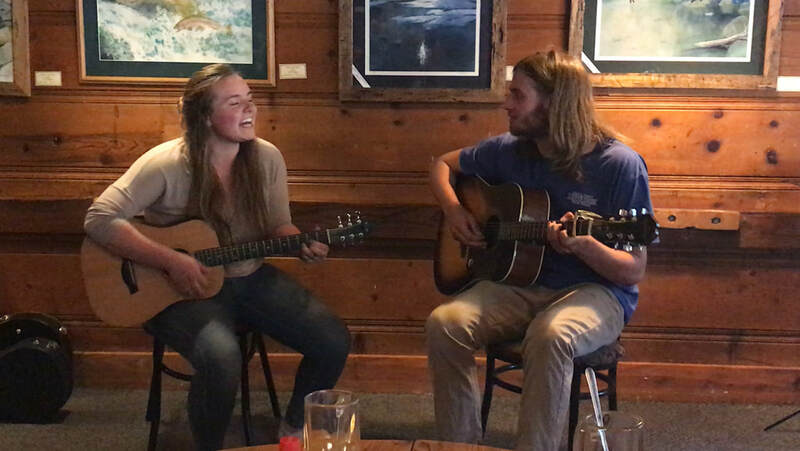 In recognition and response to this emerging need for a forum for local musicians to present their work on a regular basis, Plumas Arts established a monthly acoustic music series. For a number of years the spoken word and the musical aspects were separate, but attendance began to drop for both and the two halves were brought together again for the series that remains so well loved today. "WORDS & MUSIC has an amazing ability to create a sense of place and belonging. It provides a safe place for artists to try on their new work, encourages an attentive audience to listen closely, and inspires all who participate. People are always commenting on how impressed they are by the talented people that live in their neighborhoods. Audience members become encouraged to create and present their own creative work. Over the years, many who first came to listen become regular open-mic presenters. It has been a beautiful thing to watch this artistic program provide such a strong sense of cohesion and community. It is just these sort of successes that keeps me in my job, and one of the biggest fans of WORDS & MUSIC." The popularity of WORDS & MUSIC has provided inspiration that expanded the series into new venues and communities. Over the years additional WORDS & MUSIC has taken place in Greenville, Crescent Mills, Chester and Portola. Neighboring Lassen County has established venues in Susanville and Westwood. You can attend regular presentations of WORD & MUSIC at it's original home in Patti's Thunder Cafe in Quincy, 557 Lawrence St., on second Thursdays.